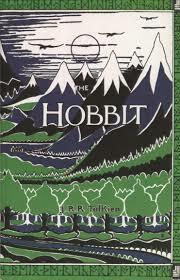 It may seem crazy for someone who reads as much fantasy as I do, but I had never read The Hobbit. It has been on my bucket list for a long time but somehow I just never got around to it. But, I want to see the movie and I had to read the book first. I fully expected to really enjoy The Hobbit, but I have to admit to some disappointment. I realize this is a kid’s book, but I thought the characters were pretty shallow and the quest was lacking noble motivation. I found some dialog overly difficult; I had to reread some dialog passages. And I found it hard to connect with any character. I have to admit to a pet peeve of mine. I really don’t like the use of song lyrics as a storytelling device. I know they often hold important story line information, but I still tend to skip reading them. The Hobbit uses song lyrics. All that said, I would recommend this to any kid as required reading for any kid into fantasy or adventure. It introduces many iconic races and the heroic quest. It has gotten me thinking about revisiting the trilogy. I can watch the movie now.